Disney on Ice is back in the Detroit area March 9 -13 at the Palace of Auburn Hills. Maggie will be so excited!! For more information, call 800-745-3000. 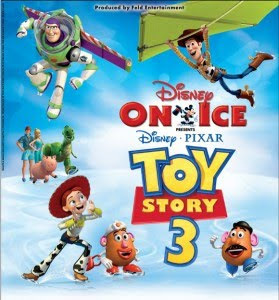 Also visit www.disneyonice.com or www.ticketmaster.com (when purchasing on the ticketmaster site, enter the code in the 'Advance or Promotion Ticket Selection' area). It's my dream to watch Disney on Ice. Toy story is awesome!